Jharkhand is located in the eastern part of India with Ranchi as its capital. It shares its North border with Chhattisgarh, west border with Uttar Pradesh, East with West Bengal and South border with Orissa. Institutes with national importance and research centers of excellence are located in this state. Colleges in Jharkhand offer wide range of courses in Undergraduate, Postgraduate and Ph.D levels in the field of Science, Medicine, Engineering and Commerce. Apart from regular courses specialized and conventional courses are also offered by the colleges in Jharkhand. You can find government as well as private colleges in Jharkhand. Compared with males, female�s literacy rate in Jharkhand is low. The colleges in Jharkhand are affiliated to the universities in the state are Ranchi University, Birsa agricultural university, Ranchi and vinoba Bhave university. The most notable Technology institutes in Jharkhand are Birla Institute of Technology and National Institute of Technology which offers engineering and Technology degrees in undergraduate, post graduate and doctoral level degrees in Computer applications, Information Science, Bio-medical Instrumentation, Biotechnology, Pharmaceutical sciences, business and Hotel Management. 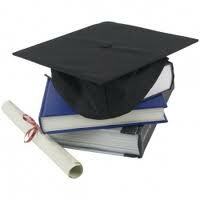 "Following is the list of colleges in Jharkhand. All Colleges in Jharkhand are divided into region wise. To view colleges in a particular region kindly select the region from the drop down list. The number of colleges in any particular region is mentioned in front of the link. If you come across any college in Jharkhand which is not found from our list below, please do let us know by using add in list which is default in our website�.